Sculpture Size: 9.5 X 8 X 6 in. Sometimes naming Mark's sculptures is as fun as watching him create them. 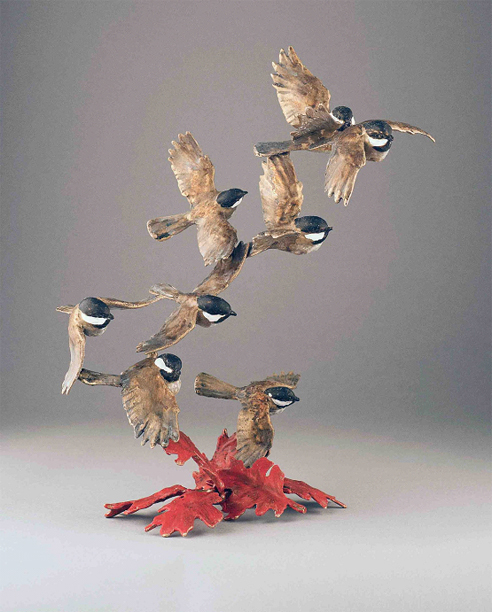 "In a Flurry" is the newest miniature bird piece that stands on its own or could hang on a flat surface.